You may think that you have to head to the Highlands to experience the autumn red deer rut and spectacular natural landscapes – but did you know that Dumfries and Galloway in South West Scotland is a haven for wildlife, with a range of diverse habitats and home to all of Scotland’s Big 5 (red deer, otter, seal, red squirrel and golden eagle)? You can see wildlife here that you won’t find anywhere else in Scotland. The region boasts an extensive list of beautiful nature sites: four National Nature Reserves; three National Scenic Areas; five RSPB reserves; a large expanse of Forest Park; a UNESCO Biosphere Reserve and a long stretch of coastline. As well as asking our local holiday home owners which places they suggest for wildlife watching, we spoke to Rangers in the area to find out more about why this region is such a top spot for wildlife lovers. You are guaranteed a sighting of red squirrels at the Eskrigg Nature Reserve, near Lockerbie. The daily 2pm feeding at the Red Kite Feeding Station at Bellymack Hill Farm is a spectacular sight – you can watch hundreds of Red Kites swoop and circle from the viewing platform (make sure you get there early for a good spot!). Barstobrick Visitor Centre is a great place for getting up close with wildlife. It is a BioBlitz Park, in the heart of the Red Kite area, with ponds and wetlands providing habitats for a range of species. Visit the Red Deer Range in the Galloway Forest Park in autumn to see the magestic animals during the rutting season and hear the bellow of a roaring stag. 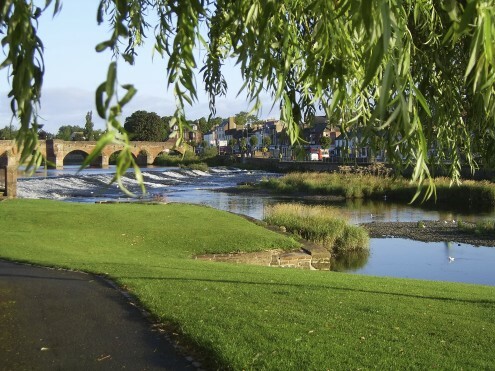 You can also look out for wildlife in the towns – Keith’s favourite spot for wildlife photography is actually on the River Nith in the centre of Dumfries. Goosander birds feed on fish here, often in large numbers, from September through to March. Also, keep an eye out for the resident otter! Visit the Wild Seasons Facebook page for many more tips, great photos and information on wildlife events, such as the Wild Autumn Festival. If it’s birdwatching you’re interested in, take a trip to the WWT Caerlaverock Wetland Centre. We spoke to Brian Morrell, Centre Manager, to find out more about the different birds you can see throughout the year. 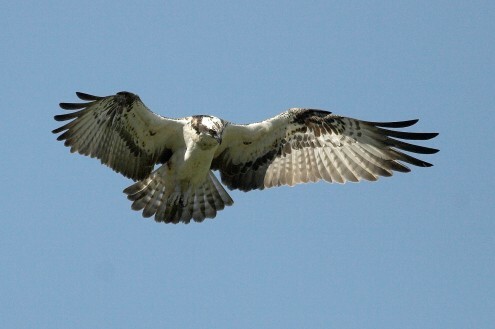 From April to September you can see ospreys – this year they have raised two chicks, soon to be learning to fish in the Solway at Caerlaverock before embarking on their epic flight south to Africa in September. When the osprey leave, they are replaced by thousands of geese, ducks and swans flying in from their summer in the far north. 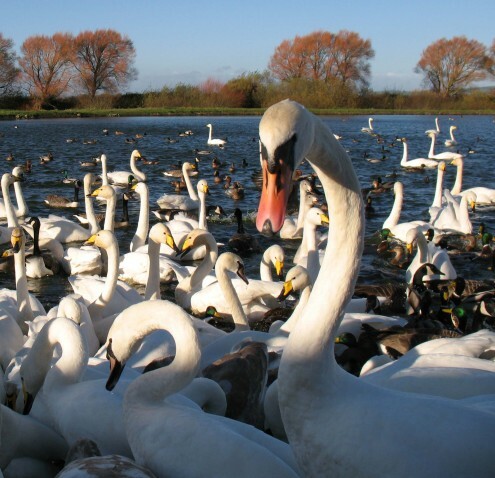 You can watch the wildfowl spectacle spectacle unfold from some of the best birdwatching hides and towers in the country, including the brand new Sir Peter Scott Observatory, opening this autumn. From here you can see the wild swan feeds every day at 11am and 2pm, when hundreds of Icelandic whooper swans fly in to feed right in front of the picture windows. Whether you’re interested in migrating birds, red squirrels, sea birds, or plant life and butterflies, the five RSPB reserves in Dumfries and Galloway are ideal for getting up close with nature. There are events happening throughout the year and fantastic guided walks, including ‘Walk on the Wildside‘ at Crook of Baldoon, near Wigtown, and the Mull of Galloway Guided Walk where you can see a colony of sea birds (as well as harbour porpoises, Atlantic grey seals and dolphins, if you’re lucky). The Mull of Galloway is Scotland’s most southerly point, with the Solway Firth and Irish Sea to the west, and stunning coastal views. The RSPB website also has ideas for things to do and seasonal highlights. For Mersehead, the top things to do in summer include seeing otters, bats, badgers and roe deer, and in autumn, witnessing the amazing spectacle of barnacle and pink-footed geese arriving in massive flocks. For other tips from holiday home owners on places to spot wildlife in the area, such as otters and porpoises, take a look at our Owners’ Secrets. Many thanks to Keith Kirk, Brian Morrell, and Lucy Hadley for information on the wonderful wildlife watching opportunities in Dumfries and Galloway.